There are small things that will increase your conversion. 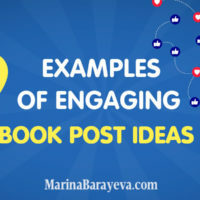 For example, your 5 seconds of the Facebook video ads are the most important one. You need to get people attention right away or they will leave. We’ll talk about what to put there and what don’t include. And there are many more things to improve. 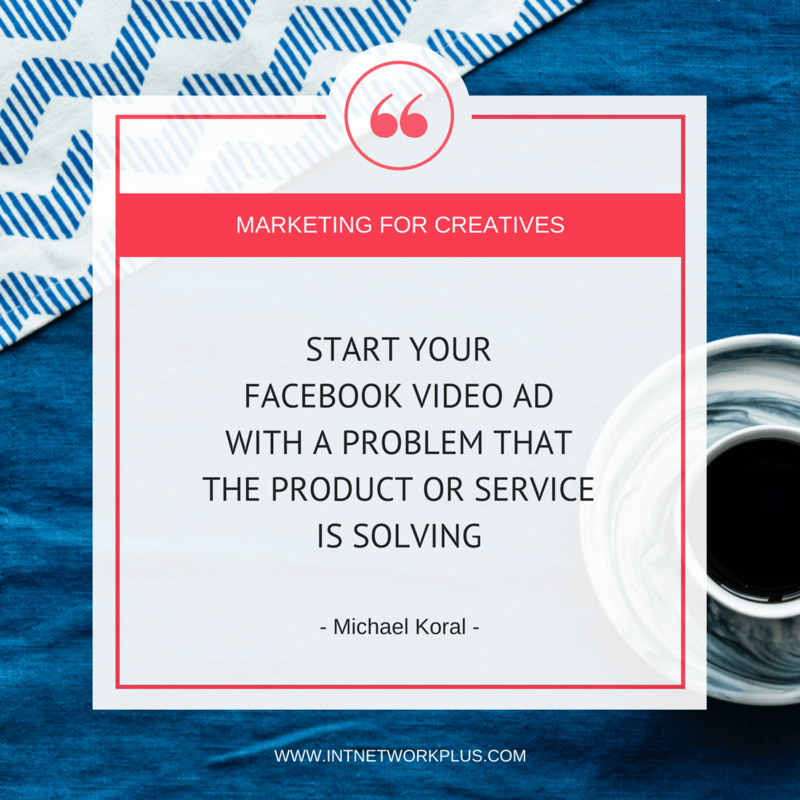 In this episode, Michael Koral shares about six things you’re doing wrong with your Facebook video ads and how you can improve them. Michael, Chief Operating Officer and Co-Founder of Digital Advertising RoboAgency and platform, Needls, has always had an entrepreneurial spirit. Michael helps other businesses reach potential clients at just the right time. Needls, the first ever RoboAgency, is the easiest and most effective way to advertise online. The Needls ad platform allows businesses to automatically create, target and optimize digital ads on both Facebook and Instagram. Install Facebook Pixel on your site. Get your first 5 seconds of the video the most engaging as this is the time when people decide to watch more or leave. Keep your video simple enough. Run at least 2 Facebook video ads tests to see which one work the best. Ideally, run 3 ads at the same time to analyze the results. Do retargeting based on your results. Before you change anything in your Facebook video ads have at least 1000 views to see what may be the weak parts of them. You have an exciting entrepreneurial story. Please share it with us. Sure. Happy to. I’ve been an entrepreneur for as long as I can remember way back even before university where I actually created my own window cleaning company in my neighborhood, knocking on doors. Getting the job done. Going up on ladders myself and cleaning those windows. That was a lot of fun. That was kind of the start of my journey. I went to university after that. Obviously, learned and got educated. I took the corporate route for a couple of years. I actually worked at Xerox for a while, selling photocopiers, realize that, hated the rat race and wanted to move on and work for myself fairly, fairly quickly. I joined a startup called MenuPalace.com, which is a marketing platform for restaurants, catering companies and banquet halls. I would handle all the Internet marketing for those companies. But still I was at that time working for somebody else and I really want to kind of start, do something for myself. So I left Menu Palace back probably in 2006, 2007 and teamed up with two of my childhood friends who I met back in a summer camp when I was 14 years old, Justin Hartman and Jeremy Coven and we started two companies. One was WeSellYourSite.com, which was a full-service website brokerage firm. We’d stopped high in web properties to investors, P firms, Fortune 500 companies, things like that. And we also started a company called All You Can Eat Internet, which was a web development company. That kind of parlayed. After that, we realized those two businesses were fantastic, but they were very transactional in nature. We wanted to do something a little bit different and that’s kind of where we started Needls – a SAAS platform to help SMBs advertise on Facebook and Instagram. Doing that since 2014 and loving it. I’ve really been an entrepreneur my entire life. Even if I had been working in corporate for a bit, I’ve always had that spirit. Yeah, that’s a long story. How many businesses did you try? Needls is our third business after We Sell Your Site and All You Can Eat Internet. This is the third one, but we’re always looking to start more. I think when you have that entrepreneurial bug it just keeps you going to do more and more things. When did you start learning about Facebook and Facebook marketing, Facebook ads? That was probably back in 2014 or so. At that time Facebook ads were already somewhat established. 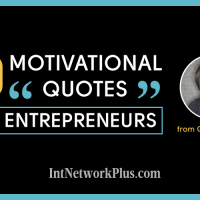 But it was really meant for like the Internet marketers of the world, the guys who knew what they were doing, it really wasn’t meant for the small business owner. There are a lot of moving parts and it was very tough to do well with it. So that’s why I kind of got an interest in it and took it upon myself to learn all the ins and outs of it to become the person I am today, with all the insights that I have about Facebook ads. Did you actually run tests with the Facebook video ads for your company, for other companies? Of course, we actually ran to start. We ran Facebook video ads for our other two companies. WeSellYourSite.com and All You Can Eat Internet. We definitely tested it there. We even used it to promote our own company Needls as well. We figured if we’re selling a Facebook service that we should be able to test it out first and make sure we’re doing what we’re supposed to be doing. What do you think are the key components of the good Facebook video ads? The first one, first and foremost, is really capturing the attention of the visitor within the first five seconds. You have to keep it really short and have it very, very engaging. It’ll make the whole video at Max 30 seconds. And if you can do it even less than that, that’s fantastic. Secondly, 70% of the users on Facebook watch their videos on mobile. If you’re not thinking about creating a video with optimizing for mobile first, then you’re losing out on about basically 70% of the Facebook users. One big tip to think about when optimizing for mobile, you must be thinking, Hey, what’s the difference between doing desktop and mobile? The biggest thing is actually designing for the sound being off. When people actually are watching their videos on mobile, they’re not turning up the volume and listening to it. Having the text below to explain exactly what you’re talking about and make sure that you can watch it without the need for sound is crucial. The last thing I’d say is you want to have an awesome thumbnail. That’s the first, first thing that somebody sees. There is like an autoplay function for a video when you set up a Facebook video ad, people disable that very, very easily and a lot of people do. Having a thumbnail that really speaks to your audience is critical. Eye-catching is very, very important. 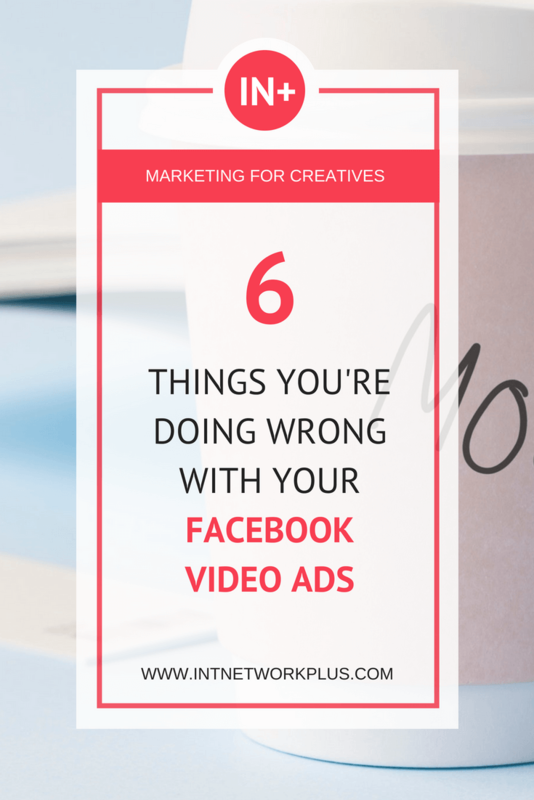 Today we talk about what people do wrong with Facebook video ads. So let’s go through all of those steps and think that, for example, you say that we need to catch people’s attention within five seconds. 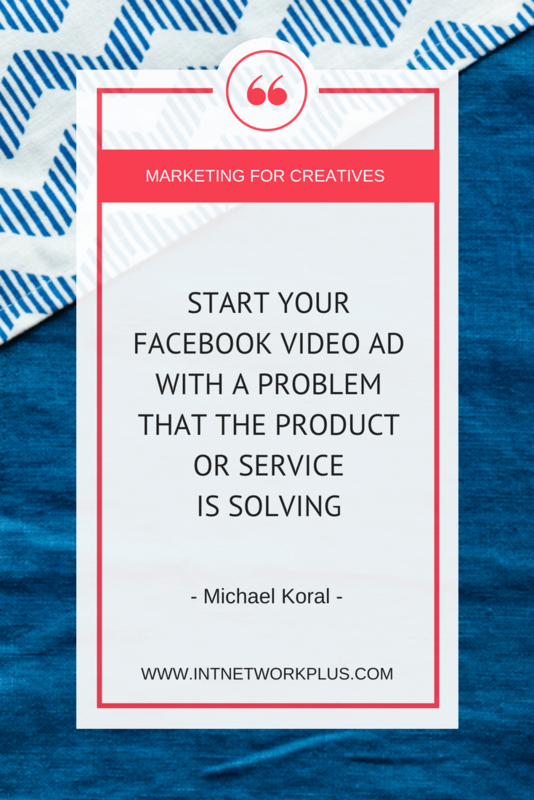 How can we do this and what mistakes do people make when they create Facebook video ads there? They’re not really looking for business at the time. They’re there for something social. You want to keep your first five seconds, something similar to the friends and family pictures and videos that they have. I always say like kitty cats and butterflies. You want to put something that’s eye-catching that you can get them right away. And it’s very, very different for every business. If you’re a product vs a service, you’re going to show something slightly different. If you’re a product first thing that comes to mind is let’s show the product first and foremost, but we’ve found that doesn’t really do very well on Facebook. You want to actually show the benefit of using the product within that first five seconds. Whatever the product is, show them using that product and then loving them, the person loving actually using it and getting a huge benefit out of it. If it’s a service, don’t just say, “Hi, I’m Michael from X service,” “I’m an accountant or a real estate agent.” No one really knows who you are within the first five seconds and no one really cares to be honest. They just want to know how you can help them. So don’t talk about yourself first and don’t show your product first. Show the benefits of your product or service and try to capture that within the first five seconds. But that’s one thing to kind of capture people’s attention. There is a lot of things that people do with Facebook video ads that they shouldn’t be doing. The first thing is relying too much on the auto play feature. It’s great, but it can really be a crutch. The video still needs to be compelling. And again, as I mentioned, the autoplay feature, you can disable very, very easily. We find that a lot of people actually do that. Secondly, people don’t retarget using their video ads. It’s so easy that it really has to be done. You can target the people who watch the whole video with another video in a proper sequence. Let’s say the first video, if you’re a product and you’re showing them the benefits of using that product and they watched the whole video, maybe the next video is features of that product and how inexpensive it is to purchase that, just as an example. The third mistake is we find that they overproduce these videos. At the end of the day, you have to keep it simple. People think video costs a lot of money to create. So it’s kind of like a nonstarter for them. They can’t afford a video that costs $1,000-$2,000. And you know, what? You really, really don’t. There are companies out there as an example, like Promo that really help SMBs and creatives create some awesome, awesome videos. So you can add your own videos there, mix it with what they have and have the final Facebook video ad at the end? Yeah. You can do that or if you don’t have any footage yourself, you can use any one other 12 million videos that they have. It can work for basically any product or service that you do. Then just overlay your own logo, call to actions and creatives on top of the actual footage that they provide. What about the text which you mentioned before? We have five seconds which catch people attention on a mobile phone. Then probably you said they will mute the phone so they will have video and they will have the texts. What would you put in this text? Is it going to be your main sales offer or what would you start with? Yeah. I would start with a problem that the product or service is solving. Very simple example. Let’s say you’re an eCommerce store selling a toothbrush. Outlining a problem within the first five seconds I think is critical. How to create those subtitles? Do you know any services or should we do it manually? Outsource to a freelancer? Typically, SMBs that we work with, we kind of like a system to how to help them with that. So some people, and especially people listening to this, you’re all very, very creative. It’s something that you can try doing yourself. It’s obviously the most inexpensive to do that. But if you want to go to a freelancer, by all means, you can go even on fiverr.com and you can pay somebody five or 10 bucks to create some awesome headlines for you. But at the end of the day, if you can do it yourself, you know your product better than anybody else and what problem it’s solving. So I’d say try, do it yourself if you could. When you also mentioned that we need to create the thumbnail for the first second, for the first slide, shouldn’t it to be just the video itself or should we put the picture with the logo? What would you recommend? I wouldn’t put a picture with a logo because as I mentioned before, people don’t know who you are within the first five seconds and they don’t really care. They just want to know that there’s something out there that can solve a problem that they have. Obviously, if you’re doing a video, you can take kind of like a screen grab from a key piece within the video that you think will catch their attention. Something kind of very eye-catching is very helpful. But definitely, not your logo and a picture of yourself on because they don’t know who you are and like why should they stop to look at your logo and who you are, if they don’t even know what problem you’re solving at that time. 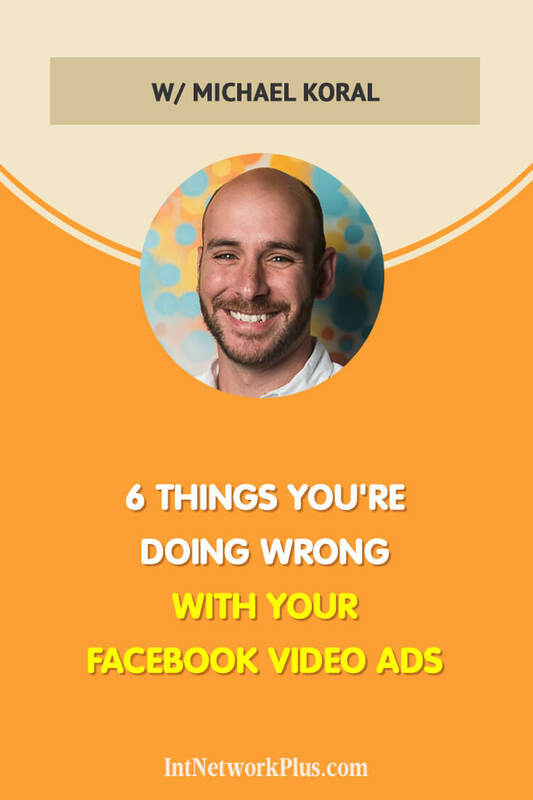 What other mistakes do people make when they run the Facebook video ads? 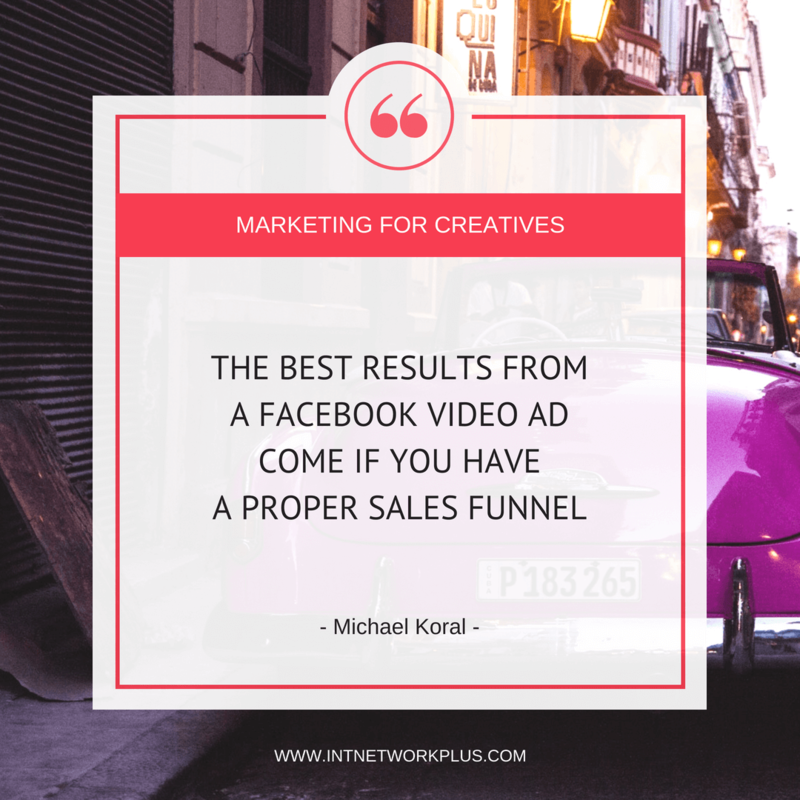 There’s one key thing, and this goes for Facebook ads in general, but it really is attributed to videos as well, is they don’t have a Pixel installed. How are you expected to kind of like retarget properly and to actually run an effective Facebook video ad campaign where you’re not actually tracking the results of the campaign or not giving even the ability to retarget without a Pixel installed? If you don’t have it installed, definitely get it installed. You don’t know how to do that, find someone who can, a freelance or anybody else who’s a technical enough to install that Pixel code on your website 100%. Separately, I’d say people try to do just, they take just one video and they try to run the ad just on that video. One video is just not enough. You really have to test a few different videos to see which ones were working the best. Because you can get some fairly decent engagement on one video and you think that’s great engagement. But how does that compare to a different video if you don’t know if you’ve tested that or not? Definitely, use more than one video. And again, as I mentioned, the copy like Promo can really help with that because you can make videos very, very quickly for basically $50 a video a month, which is very, very inexpensive. That’s the second piece. The other thing is that people, we find, are getting very impatient when thinking about Facebook video ads. They run ads, let’s say for a day or two. They get maybe 100 people looking at the ad and they’re not getting a sale from it. So they automatically think that you need to change something and do something very different right away. I’d say wait until you reach at least 1000 people before making any decisions about changing up your ad. That’s critical. You don’t want to change something too quickly and jump the gun. How would you run those Facebook video ads? Would you run them at the same time? You said we need several videos. Or should we do them one by one? Like one ad hits 1000 viewers and another one hits 1000 viewers and then we compare them? No, I would definitely do them at the same time. Reason being is because you want to capture it. You want to go after the exact same audience, at the same time and see which video works the best. If you run a test for one week, get to a thousand people and then next week run another test to a different thousand people, it’s a different timeframe. There’s not necessarily the exact… It’s not the right test. You want to be able to test at the same time a thousand-people agency, which one works better in the right timeframe. How many of the Facebook video ads would you run at the same time? I’d say at minimum two, but best practice would be three. Three is definitely a good number. That’s what we usually do when we’re running our tests is run at least three videos at a time. How different should they be? They don’t have to be that different. That’s the funny thing. You can have different headlines and creatives on top of the video and just see how just changing up some wording makes all the difference. Again, if you’re focusing on presenting you without any sound, it makes it very easy to test so you can keep the same footage, but just change the actual texts that you overlay on top of the video to make it super simple to test very quickly. Of course, if you have the budget to get fully produced videos done, then even better and then you could have three completely different videos to see which one works better for you, different styles perhaps. Some people like using an animated explainer video, other people like using real people, and others try to do a mix of both. Would you pay a lot of attention to the description of the post or just try to get focused on the video itself? That’s a good question. The one piece of advice I would give is that the mistakes people make are they try to test too many things at one time. There are so many things to test. You can test, what I just mentioned, the text on top of the video and when you just suggested the post copy above the video and the text below that. Then you can test audiences. You can test all these different things. You really have to focus and pick the top things you want to test and focus on that first. Once you hit a thousand impressions, then has something else. If the first thing you’re testing is what video is going to work the best, just test that. Keep all the rest of the copy of the same and just test the video. If you figured out, okay, this is the best video and you got a thousand impressions on that. That’s the best one. Okay, now let’s test different versions of copy above and below the video and once you find which one works better there. Okay, great. To which results should we pay attention to, to which statistic? Will we define the successful Facebook video ad just because we get a client? Or because we got a subscriber? Or how would you pick it? Good question. The holy grail of choruses, yes, if you’ve got a subscriber, you get a client, but if you’re not getting a client or a subscriber from it, they’re still very much good value in the ad itself, a brand awareness, page likes things like that. You’d want to look at your click-through rates. I’m sure people have mentioned this many times before, but it’s very, very important out of the people that are watching your ad and seeing it, what percent of those people are actually clicking through to come to your site. I don’t really look at it. There are many other statistics to look for, but outside of the conversion itself, like, again, a subscription or a purchase, I would look at the click-through rate to see how well that’s doing. There are a couple other metrics that people kind of look at very closely and I’m not sure why. Initially, I did this as well, but it’s something that I don’t really look at it too much anymore. One is the relevancy score. Everyone thinks, “Okay, if you can have a relevant score of 10, then that’s great. The ad is extremely relevant to your audience and that’s going to make it the best ad. But then you realize shortly after that you can have a relevance score of 1 and get a higher click-through rate and more conversions from a relevance score of one. Which means it’s very irrelevant to the people of your audience, but they are converting versus 10 where it’s a very relevant but nobody’s converting. So I really don’t put too much emphasis on a relevancy score. The second one is positive and negative feedback. Same thing with relevancy score. If you have the ad that has a very negative feedback, you can still have very high click-through rates and you can still have very high conversions versus if you have a very positive feedback on your ad going to have very low CTR and very low conversion. So I wouldn’t focus too much on those two specific metrics. Before you mentioned that when we run the ad, after that we can do retargeting. How can we do it with the video ads? Absolutely. There’s a couple of injuries and features on Facebook that allow you to retarget based on how long somebody watched the video for. There’s a statistic, if you go into the break in ads manager, you click on a breakdown, you can actually look at the video engagement metrics and see how many people watched a certain amount of length of your video. There could be 10% of the people watch 80% of your video, 90% of your people watched three percent of your video. You can take a group of people that, let’s say watched your entire video and then retarget people that watched the whole video. I wouldn’t retarget people that watched the first couple seconds. Retargeting people that watched the full 100% or maybe 80% or 90%. Then you can show them a different ad, a different video in a certain sequence. As I mentioned before, if your first video is talking about a problem that your product or service is solving your second video may talk about the features and the pricing or something else related to your product or service that will help them get through and become a lead or a customer. Would you keep it about the same product or service? Because sometimes people sell different things. Or would you pick a different thing for the second ad? I would try to focus on one thing. If you’re doing a product, I would talk about the pain points of a product first, in your first video, the problem. Then the second video we’ll be talking about the actual features and benefits of that product. It is very, very confusing if someone saw an ad first for a product that’s that you’re solving a problem for a specific product and then seeing something for a different product entirely. I would focus on one specifically. That being said, if you run one ad talking about a specific product and they ended up buying that product, then I would retarget the person who bought that product with products that are similar to that product. But I wouldn’t retarget unless they actually bought that specific product or service or whatever you’re selling. That’s interesting. 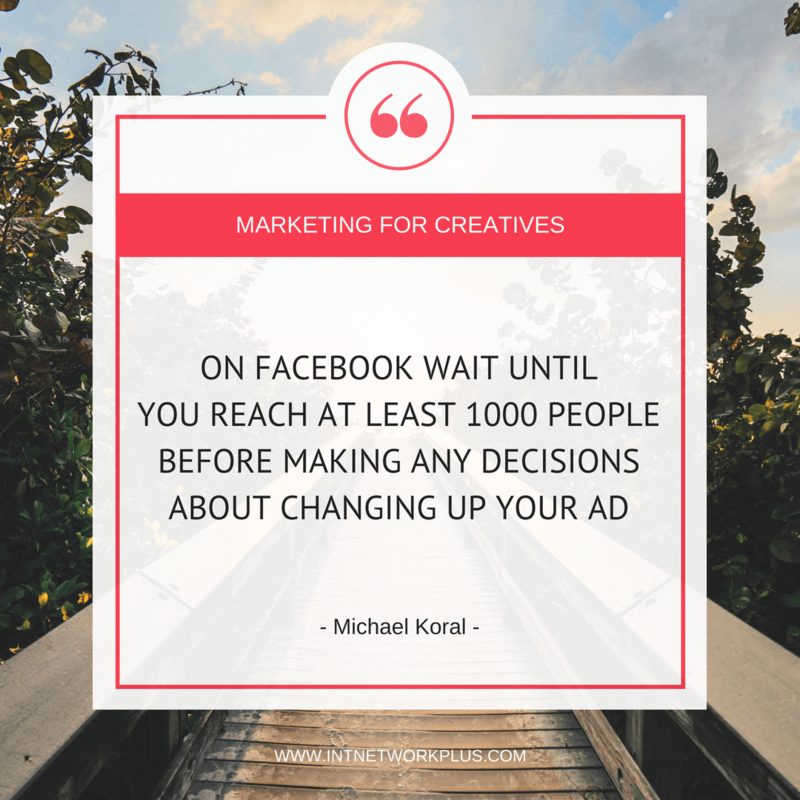 Could you give our listeners kind of a system of how to find out where are the weak points of the Facebook video ads or what to look at when they want to create something newer and better? Sure. I always say that with Facebook ads, the system is that there is no system. It comes down to testing, looking at all the right metrics, breaking down by everything you possibly can and benchmark and performance. But the biggest thing I would suggest is to test multiple videos at one time. I know I mentioned this before, but I want to reiterate that because it is very, very important. 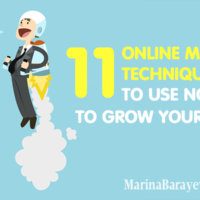 There are many tools out there that you can create videos fairly quickly, inexpensively, and I would test three videos at once to figure out which one’s working the best. And as far as figuring out which one’s working the best, what metrics to look at, look at your click-through rates, look at how long people are watching your video for, what percentage of your people are watching: 3% or 50% or 80%, and track the performance of that. Even very simply, you can export an Excel spreadsheet every single day or week with that metrics directly from a Facebook business manager and then run your analysis on that. It’s not as hard as you think to just be able to look at, okay, this week I had 70% of my people watched 50% of my video. And the other video had 80% watched for 100%. You can track the breakdown of that and see what’s working, what’s not working. That’s the biggest thing. But at the end of the day it comes, I think I may have mentioned this before, it doesn’t really matter the type of videos that you have or the metrics that you’re looking at if people… if where you’re sending them to is not optimized for conversion. 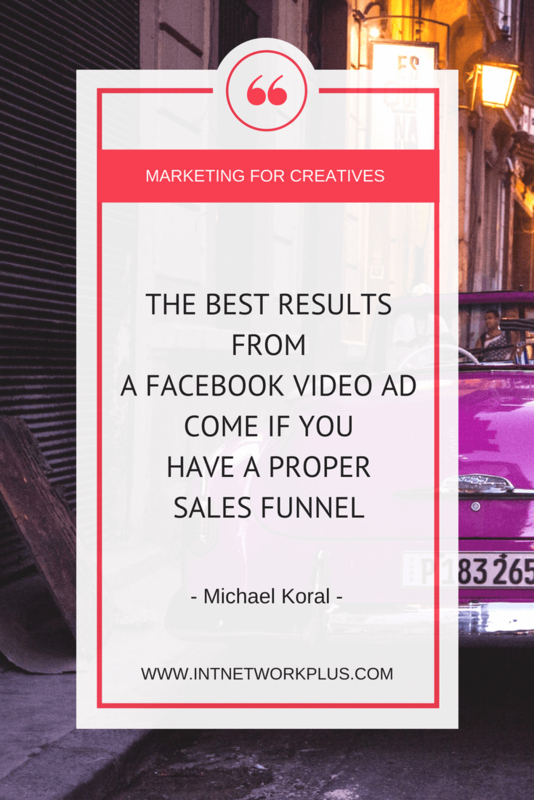 The best results from a Facebook video ad come if you have a proper sales funnel. Once someone clicks that ad and get taken to your landing page or your website. We can send you the best possible traffic. Facebook can do that. But if it’s not converting them on a landing page is much, much more challenging. So I definitely say, testing and have a proper sales funnel above all else. So probably we should start from the sales funnel, create several videos, do tests and then run the best video ads. Yes, exactly. And again, start with multiple videos. Don’t just pick one, do definitely more than one video, 100%. And we actually at our platform needls.com we actually make it very, very easy for you to create multiple ads at the same time and allows you to test multiple videos at once with different headlines, different descriptions, different post copies very, very easily. Wow. Thank you for the great tips, Michael. Please tell us more about your platform. How can we find you? How can we connect with you and just know more about the projects you’re working on now? Sure, absolutely. My company is needls.com. We make it super simple for small business owners, startups, creative entrepreneurs to create targeting, optimize Facebook and Instagram ads. Just by answering a few simple questions about your product or service, we’re about to create hundreds of ads for you, target them using data science and optimize them 24/7. 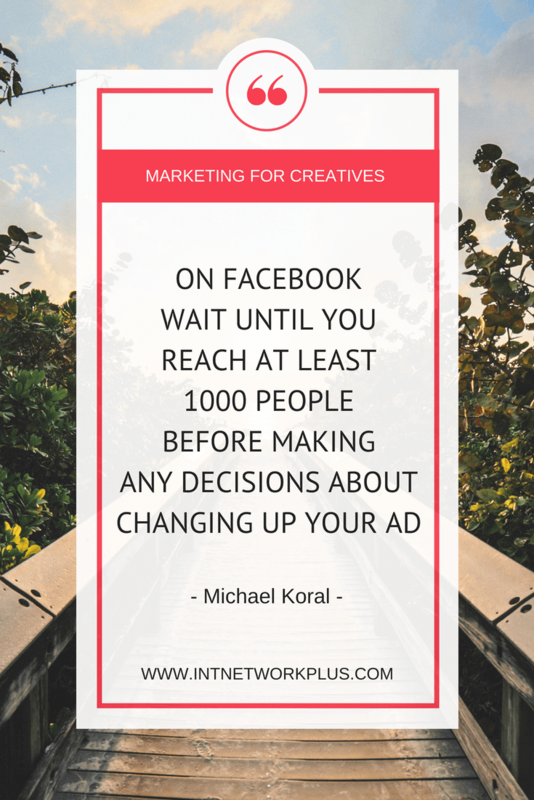 It really kind of takes the guesswork and the difficult parts about running Facebook ads away from you. We were looking really try to solve a problem where there are only so many options to run Facebook ads. You can try to do it yourself, which is getting increasingly challenging. You could hire an agency which is very expensive, $1,000 a month, $2,000 a month, 20% of spend. Very tough. Oh wow. It’s too expensive. They’re very expensive. Exactly. Or if you use another platform that’s out there, Needls isn’t the only one, but the main difference between Needls and the other platforms that are out there is they’re really meant to automate your own knowledge. If you have the expertise in Facebook ads then awesome tools out there to automate that knowledge. 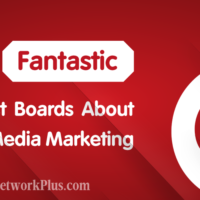 But if you don’t have that expertise, if you’re busy, you want to just run your business, you use Needls to make Facebook ads and Instagram ads simple and very, very effective. For your audience, I want to be able to give you guys something special. If you visit needls.com/creatives, you’ll be able to get 35% off our monthly platform fee of $100 for an entire year using the coupon code CREATIVES when you check out your first campaign. Awesome value. You’re saving basically $700 a year to access the platform, which is pretty sweet. So please go ahead and check that out. needls.com, N-E-E-D-L-S.com/creatives and get 35% off your monthly platform fee with us. Great. I’ll put the link to the blog post. Thank you so much, Michael, for your amazing tips. Awesome. You’re very, very welcome Marina. It was great, great chatting with you.